Cinnabar is a blood-red mineral, and one of the primary ores of mercury. It has been excavated by humans around the world for millennia, used not only as a source of mercury, but also as a brilliant pigment. 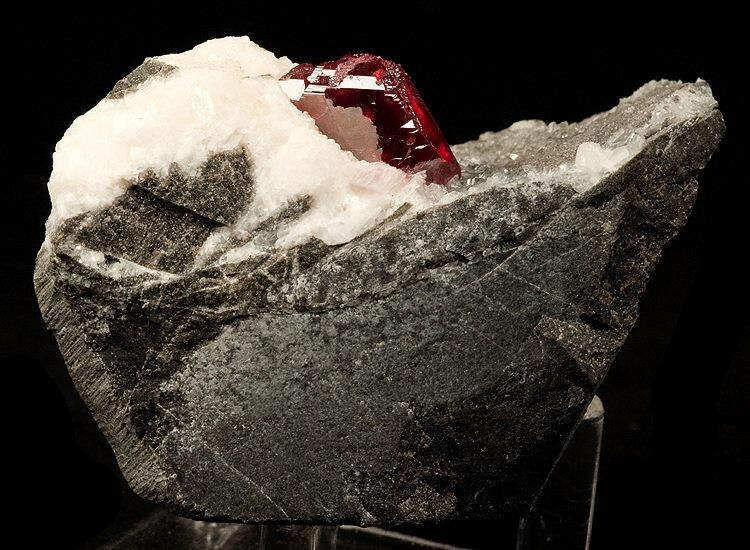 Usually, cinnabar is found in a massive (not crystalline) form, but when it does grow into crystals, the result is stunning. Though the crystal form of cinnabar is beautiful, it is also very soft, rating between a 2 and 2.5 on the Mohs scale. Cinnabar has been found in locations worldwide, usually near the earth’s surface in areas of moderate volcanic activity. It tends to be associated with hot springs, deposited by superheated water laden with elements like sulfur and mercury. It has been found in areas from China to South America to Italy. In ancient China, it was used in pottery glazes, turning fine dining ware a brilliant red. Eventually, the pigment made from cinnabar became referred to as vermilion, and was used in paintings by Renaissance masters like Titian. Vermilion was a highly prized, and fabulously expensive color-only artists with the wealthiest patrons could afford the unadulterated form. In South and Central America, cinnabar decorated both burials and sculptures dating back to the Olmec culture. And all over the world, ancient civilizations extracted valuable quicksilver (aka mercury) from cinnabar. Because it is comprised of mercury, handling cinnabar is a dangerous – and sometimes deadly – activity. Mercury is a poison that disrupts the neurological functions of the body, among other nasty side effects. * Its toxic properties were so obvious, that the dangers of coming in contact with too much mercury were well known to most cultures that handled it. Usually the people in charge of extracting quicksilver and cinnabar in ancient times were those that society considered expendable, like prisoners or slaves. The process of extracting mercury from the ore isn’t that difficult. 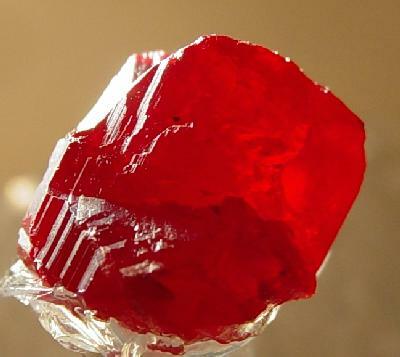 Cinnabar is crushed and heated to high temperatures, at which point the mercury evaporates, and can be collected in its liquid form once it condenses. The resulting mercury was usually transferred in iron containers, as other metals like zinc, gold and silver would react with mercury, defeating the purpose of the container. Cinnabar was invaluable to the ancient world, but lately, it has fallen out of use as an artistic tool. Artists first figured out how to create synthetic vermilion in the 900’s by combining mercury and sulfur, and then found non-toxic substitutes that would have the same effect. Cinnabar is still extracted for use as a mercury ore, as mercury itself continues to be used in industry today. But Mercury’s story is for another (Mon)day. Have a good week! *Interestingly, the resulting mental instability became associated with hatmakers when felt hats became popular. Mercury was used to shape the hats, exposing their makers to the substance. This led to the term “mad as a hatter” which was the basis for the ‘Mad Hatter’ in Lewis Carroll’s Alice in Wonderland. 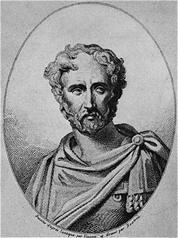 ** In fact, Pliny’s entire book on minerals and mining is absolutely fascinating, if a bit rambling at times – Romans definitely knew a lot about the earth. Your first sentence imealietmdy got me interested in this topic. Your unique commentary and writing style had me convinced of your points. Amazing work. Please continue this type of content. Thank you,Mary, for your interesting discussion. I am interested to know how ancients first may have discovered cinnabar and its properties and about the ways in which mercury was used in early societies.